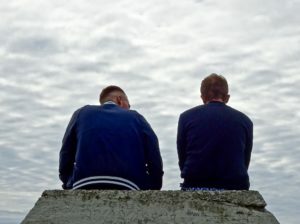 Being in residential addiction treatment can usually mean sharing a room with another addict. It can sometimes be triggering to be around someone else who is struggling, but learning effective coping skills can help you navigate your recovery and healing. It is common in addiction treatment to want to isolate and be alone with your own thoughts and feelings . It can be helpful in some instances, but often staying connected to others can be extremely useful. Learning to talk about what you are feeling, thinking, and experiencing can help others connect with you and share their coping strategies for similar situations. Staying active in your treatment program can help you get the most out of your treatment and sobriety. Living with someone else during treatment who also is struggling with an addiction can be difficult. It can be from small arguments to shouting fights. This can contribute to reducing the risk factors for relapse. Being able to deal and effectively cope with all types of individuals is an important part of the treatment process and will help you know how to manage difficult people in everyday life once outside of treatment . First, turning to treatment staff can be helpful when trying to diffuse or end a disagreement. Working through positive communication skills, boundary setting, and practicing saying ‘no’ can be a huge tool in learning how to work with people. Second, practice saying ‘no’ when you need too. If your roommate is continually talking about their addiction or subjects within their individual or group therapy, you can ask them to stop talking about that in an assertive, but polite way. If you need help from a direct care staff, ask them, and they can help mediate the conversation. It is easy to want to hide and run from confrontation, especially when you are navigating treatment. Being able to be upfront with your thoughts and feelings can help you internally identify why your roommate’s addiction treatment is triggering for you. Talking it through with your therapist is also essential as it may help identify underpinning issues to your addiction. Work on learning and practicing coping skills with your treatment team and in group therapy. Having individuals who are supportive can help you build up your self-confidence in your ability to set boundaries and limits with others. Sometimes the triggers are due to an issue you have with yourself regarding your addiction. Talking about why the addiction is triggering and what about your roommate is difficult can help you critically think about your situation. Sometimes you just need a break from each other. It might be that you are both new to addiction treatment and everything feels triggering in the process. Knowing that everything around you will not be triggering in the long-term can help you get through the current situation. Being able to state your concerns with your treatment team and direct care staff can help them to know how to best support you. Drugs usage may be happening with your roommate and triggering for your recovery. If you see this happening or have a strong belief that your roommate is using, tell your direct care staff or treatment team right away. This behavior needs to be addressed and is most likely not just triggering you. Being able to step away from your room and practice some coping strategies such as meditation, yoga, gentle walking, or just breathing can help you center back to what the success and priorities are for you. Focusing on the here and now keeps you focused on your goals, your needs, and your small moments. Learning to listen to your body and mind’s needs is essential for sobriety. With addiction, the goal is often to numb or forget what your mind and body are trying to say. It can be to forget the past, to numb out the present, or to manage a co-occurring disorder. When you can learn new healthy coping skills, you need to practice them. Practice the skills when you are not in distress so when you need them in a crisis, you will know how they are supposed to feel and affect you. Working your treatment and sobriety is often not a quick process. It is a trial and error journey of learning your triggers, your responses, and then relearning how to manage those triggers in a new and healthy way. It takes lots of practice and learning from slip ups, but in the end knowing that you are able to cope with stressful situations can build your self-confidence and self-compassion for sobriety.